2 days, or rather 2 nights or 3 days to allow essential to visit Lisbon. But just the basics! Of course some are tempted by an extended visit of 4 or 5 days or a week, because tourism is very agreeable both museums, the general architecture of the city or even restaurants. The city of Lisbon mixture of influences from the Roman, Arab, Catholic and neo-modern, which gives the capital of Portugal a real taste of originality. 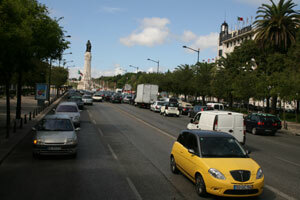 When you arrive in Lisbon, one is struck by the extent of the city (650 000) and its suburbs. With this latest Greater Lisbon has nearly 3 million inhabitants. The city seems to have lisbonnaise thrust block, like mushrooms after deploying spore spore somewhat anarchic and random basis. Even within the center city, largely rebuilt after the earthquake of 1755, there are buildings in neo-modern, gothic churches, the castles of Lisbon whose remains date from the Arab rather ugly building also dating to the dictatorship, very contemporary buildings. Wandering on incontournale up Pedro. In some aspects may also recall Lisbon Prague or Budapest. short, everything is pretty diverse if we add the elevator Eiffeil, the effects of tile Eastern inspiration, but also with a touch of West, the Tagus and the Golden Gate Bridge in Lisbon, Tower of Belem must put a little nowhere, the Monastery of Jeronimo (Jeronimos Monastery) ... Do not forget the Castle of St. George the fifth century or the Cathedral in the Alfama district. All this via the Elevador da Gloria, one of the last Lisbon funicular, which leads to the Mirador de Sao Pedro de Alcântara. 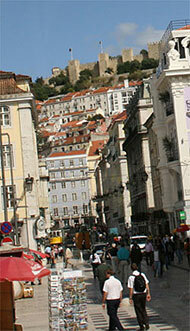 As its name suggests is a superb view on the hills of Lisbon, including the castle. They are numerous and for all to count 4 days to visit. Featured Museum of Modern Art near Belem, is something of a local Louvre. 2nd major museum, the National Museum of Ancient Art in the neighborhood of Lapa. Walking also the site of the Expo 1998 form. We will not fail the superb museum of carriages in Belem. 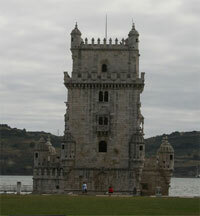 In Belem, can make a stone hit with three carriages museum, naval museum + Geronimo Monastery. For art lovers the Calouste Gulbenkian Museum is a treasure, more traditional National Tile Museum. The oceonarium is also reputed to be one of the most beautiful in Europe. This aquarium is located at the site of Expo 1998. Hotels rates are aligned Western Europe, Although it is possible to find suitable accommodation for about 60 euros. Dining here is more pleasant side wallet, the restaurant of Lisbon are cheap, especially traditional restaurants (excellent!) That are discovered by strolling through The Streets Of Lisbon. The coffee is less than 1 euro for example. We eat very well for under 10 euros, remember that the Portuguese minimum wage is less than 420 euros. Near the Tower of Belem, the modern restaurant offers a beautiful view over the Tagus and the Bridge of 25 April genuine replica of the Golden Gate Bridge in San Francisco and built by Americans. La tour de Belem à Lisbone, un des monuments incontournables. You have understood, can make quite a thing in 3 days in the city center, much in the foot if we descend into a hotel well placed. The tram is very practical and scenic. Since the establishment of trade on the Tagus, starting tram for tours that allow you to refine your choice for 3 days (or more) of your stay. Just for the panorama, the route 28 tram will bring you a beautiful panorama of the city. Ah yes, last for soccer players, 2 stages of 60 000 places of Portugal Sporting Lisbon and Benfica rub a few hundred meters. Welcome to Lisbon especially for Vincent, patron saint of Lisbon. Add to bookmark this page Portugal " Tourism in Lisbon " - Firefox do "Ctrl D"